A Dutch ship, the Friesland arrived at Smeerenburg in 1906 to erect a memorial to the Dutch who died here during the whaling days in the first half of the 1600's. 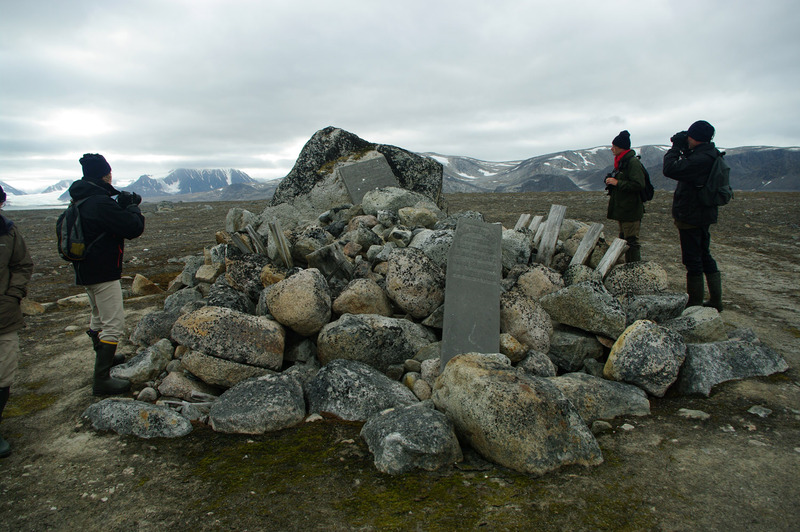 Here and nearby, they found graves and bones pushed to the surface by the frost, fallen crosses and other memorials. These were all gathered up and a large pile of rocks built up on top of them, a plaque was left which read (in Dutch) "HMS Friesland repaired these graves in 1906 on order of the Queen of the Netherlands". The story of Smeerenburg is very well known in the Netherlands, I was quite taken aback by how serious and reverential the Dutch passengers were when we encountered this memorial.